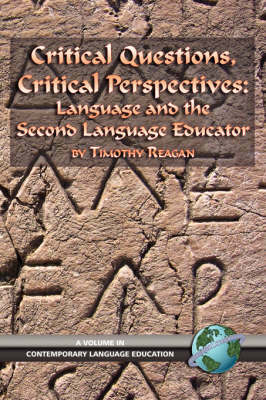 Critical Questions, Critical Perspectives: Language and the Second Language Educator is intended primarily for language educators, broadly conceived, and thus is appropriate for not only foreign language teachers, but also individuals teaching English to speakers of other languages in both Anglophone and non-Anglophone settings, teachers in bilingual education programs, heritage language teachers in both formal and informal settings, and others whose work involves language teaching and learning. It is also intended for teachers of all age groups and levels, since the issues that it raises are neither age nor level specific. This is not a book about teaching methodology, nor is it the sort of work that will provide the teacher with practical activities for use in the classroom.